SecureStyle supply and install the remarkable Ethylene Propylene Diene Monomer (EPDM) flat roofs systems, designed specifically to offer long lasting protection, superior weatherproofing and creates an attractive appearance. Our flat roofs are perfect for a variety of projects. Whether you have an extension, a balcony, a shed or a garage that needs covering, then the EPDM flat roof material is the ideal option. Our range of flat roof options offers unbeatably high standards of durability, performance and high quality design. 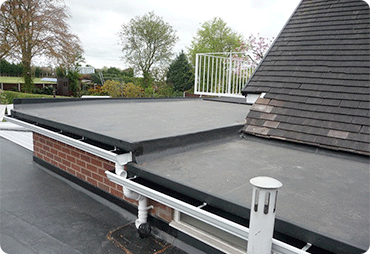 Utilising state-of-the-art technology and expert craftsmanship, our flat roofs feature the best EDPM synthetic rubber systems to provide high levels of quality. To ensure swift and efficient installation, we can fit your new product to your existing current roof boards. This not only reduces construction costs, but it also means that you’ll be able to enjoy your new roof in no time at all. Our flat roofs in Kent from SecureStyle offers state of the art materials, compared to previous felt and asphalt options. Our EPDM roofs are much more robust, durable, hard wearing and completely weatherproof. So, you never have to worry about their maintenance or upkeep. Out flat roofs are made from the highest quality materials. EPDM is specifically crafted to withstand even the worst of the British weather. Unlike other roofs materials, our EPDM systems will never gather rainwater or grow moss or greenery as frequently older flat roofs. Flat roofs are very common on garages so naturally, they must be weatherproof, structurally sound but also look desirable. 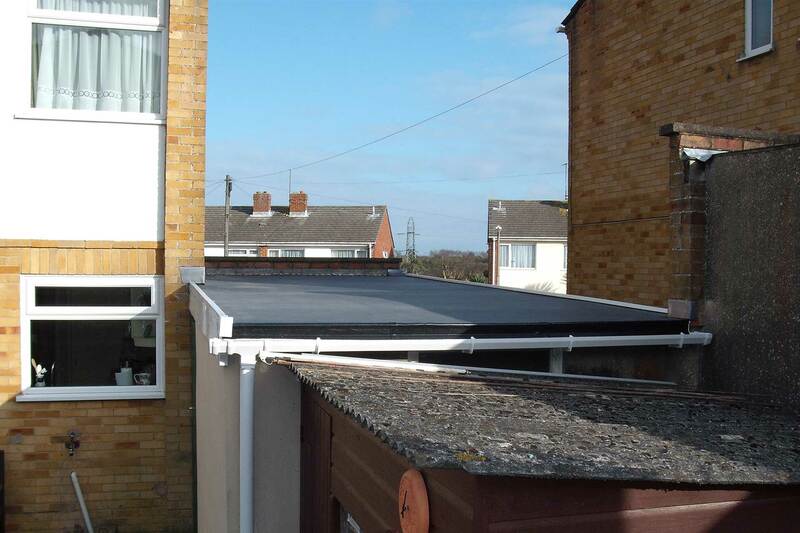 With our EPDM flat garage roofs, you will benefit from an environmentally friendly product that is easy to adapt to any size or shape required. We know that when you install one of our trusted home improvement products into your house, you want it to be durable and long lasting. Well, let us give you peace of mind. Our range of stunning flat roofs is expertly designed to give you long lasting, high levels of durability. Each one consists of cyclical membrane fatigue resistance, hail resistance, flexibility in low temperatures, UV resistance, thermal shock durability and a high resistance to weathering and abrasion. Our flat roofs offer unbeatable levels of product longevity. At SecureStyle, we know you shouldn’t settle for something that doesn’t quite look right, which is why our range of flat roofs are sure to satisfy. Our flat roofs are black in colour; thus, this EPDM synthetic rubber roofing system can achieve a natural aesthetic that doesn’t show dirt. This innovative design, unlike the traditional felt system, does not support the growth of moss. Therefore, eliminating the need for stone chippings, ensuring a smooth and clean finish. Installing our flat roofs into your home is quick and easy! Our range of stunning EPDM roofs is available for installation in one large, seamless sheet. Thus, making it quick and easy for you to get your new roofing system! Our roofs are sure to benefit most small residential roofs, so get in touch today to find out more about the range we offer. Making sure your home is weatherproof can be a daunting task, especially when renovating your roof. However, when you use us at SecureStyle, you will be getting a product and service you can rely on. Our range of products is designed to give you peace of mind and incredible weatherproof ability. The flat roofs we offer are no exception. Made with impermeable material, our roofs are highly resistant to rain and other harsh weather conditions. We know that the British weather can be unpredictable, so prepare your home for any weather condition with our range of roofs. 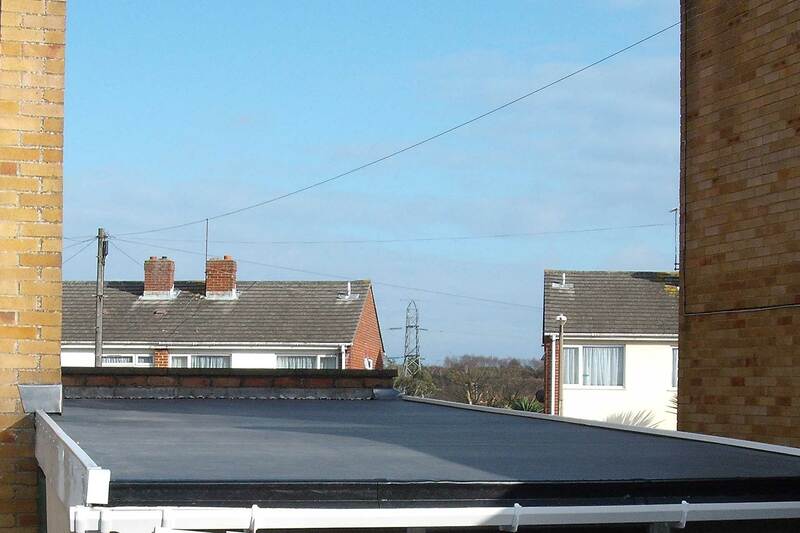 For added peace of mind on the safety and security of your home, our range of flat roofs is fire retardant. This means you won’t have to add any other product on top or underneath your flat roof to make it fire resistant. SecureStyle proudly offers the most competitive quotes for flat roofs in Kent. To find out more from our team of experts, send us an email using our online contact form. This will go straight to our team who will be ready to respond with detailed answers to your questions. Alternatively, give us a call on 01227 779372 and talk to our team. They will guide you through the range on offer, giving you essential information and a quote at the end. Get in touch with us today and get one of our roofing systems installed into your home.